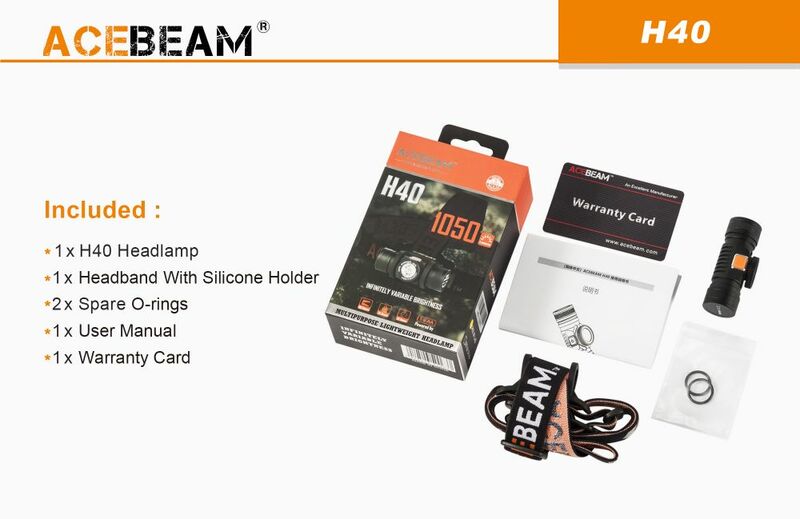 H40 is a simple, compact, lightweight headlamp with tremendours power and reliability. 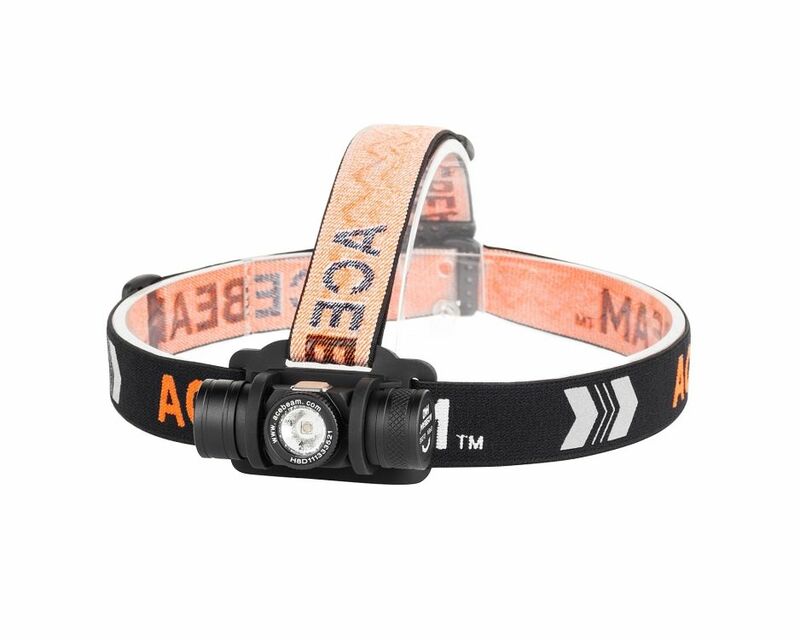 Equipped with one CREE XP-L HD LED, this high performance headlamp provides you with a fuller, more evenly-lit view at night. 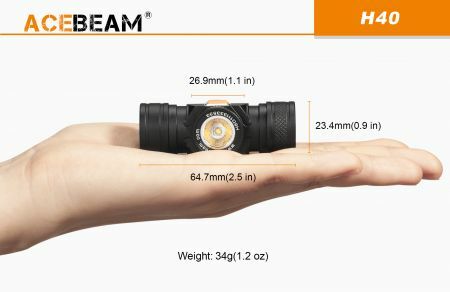 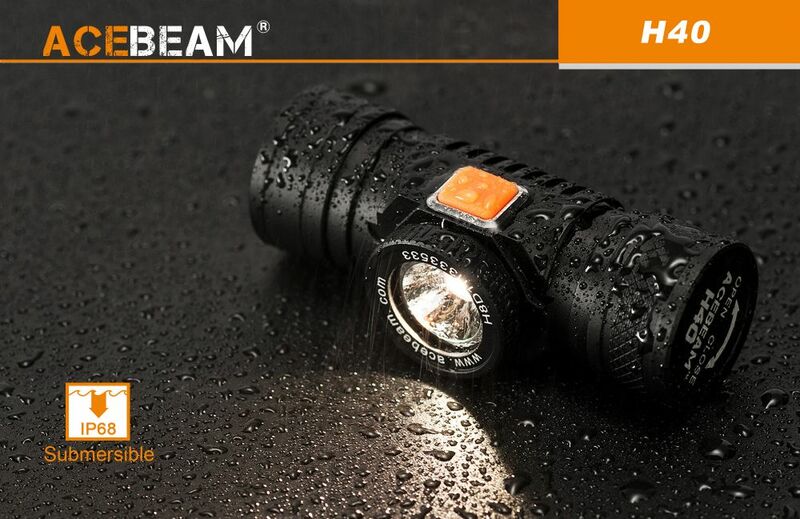 It features with infinite dimming outputs ranging from 230lumens to 15lumens by Li-ion battery, ranging from 230lumens to 20lumens by Ni-MH or Alkaline AA battery and a SOS mode for emergency situations. 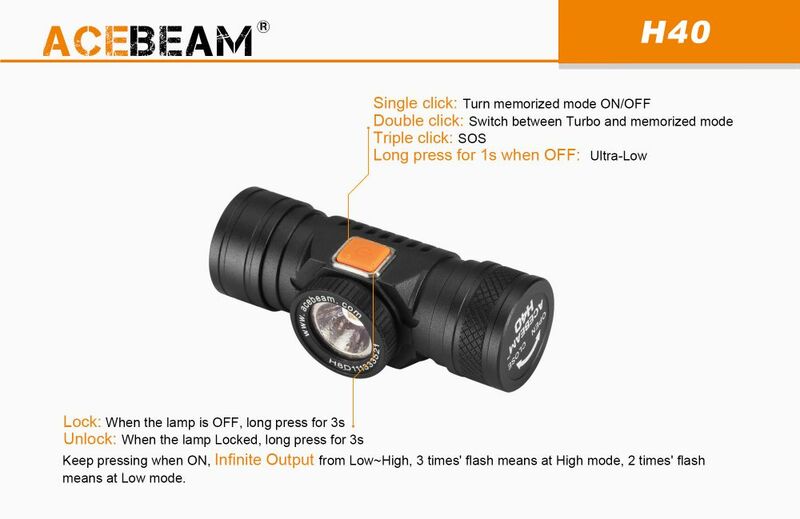 There is another version for optional, which is equipped with one luminus SST-20 CRI 95+ LED, this allows a warm and soft beam to resemble the nature of sunlight, reducing eye strain and makes it ideal for photography. 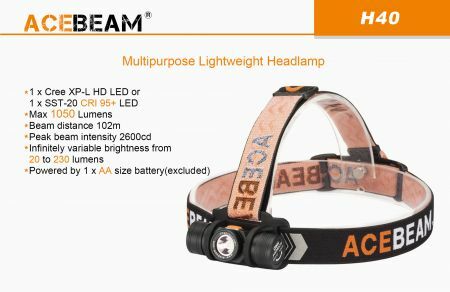 The headlamp's body is constructed from aerospace grade and hard-anodized aluminum, letting it withstand drops from as high as 2 meters and allowings it to be waterproof to IP68. Super lightweight, remarkably rugged, and incredibly user-friendly, H40 headlamp is one perfect light for any outdoor activities! 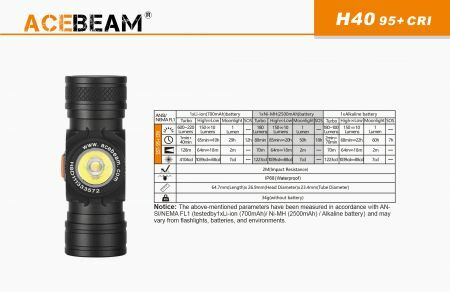 This Product was added to our catalogue on Thursday 04 April, 2019. Converter Bush 3/8" auf 1/4 "